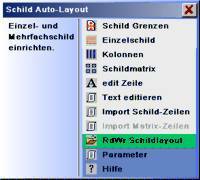 Description of the layout Autolayout Program (comp. Text . Label AutoLayout). The automatic label layout generation. Through the simple, intuitive operation handling the program requires no special instruction. Nevertheless, the program is very comprehensive and effective. Therefore, to become acquainted with it , please read through the General Instructions CAD and Label + Series label beforehand. If you have questions on the operation, then please first make use of the program help. With already activated function you can access this using or using the aid Program Help [?] and click-on the function. Matrix. Label AutoLayout is a program for the automatic generation for a single label, for columns or for a label matrix consisting of single labels or columns. The text lines created using Label AutoLayout can be supplemented and edited using edit lines. The lines are initially generated with the font given in Single label or Columns. If several font styles are desired, these must be input/amended later using edit line. before input of the data for a single label or a column the Label limits are to be input first. A single label consists of a specified number of horizontal text lines. The line dimensions, spacing etc. are determined automatically according to the specifications. 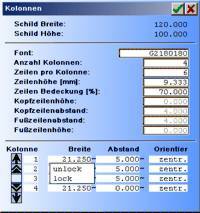 With each input the label is recalculated and displayed graphically. Columns consist of a specified number of columns with text lines. 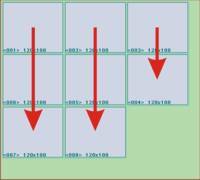 In addition, one each of a header and footer can be determined over the complete label width. The distribution of the columns takes place according to specifications such as, for example, column width, spacing, number of lines etc. With each input the column is recalculated and displayed graphically. A matrix is a multiple arrangement of single labels or columns, i.e. before the input of data for a matrix, the input of data for a single label or a column is necessary. With each input the matrix is recalculated and displayed graphically. Input label limits. Label limits. Before the input of a single label or a column, the limits must be determined for the label. A label lies bottom, left always on the point 0,0. As limits, only the width and the height are input. Border left, bottom, right, top is the text spacing in mm. With label frame = YES the border is drawn (left .. top) in the graphic. Single label with 5 lines. 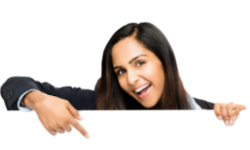 Graphic with Text for single label. Text input in the editor. 4 lines, coverage 80%. Single label. In put of a single label with several lines. The input divides itself into the global domain (font .. Orientation), these inputs are used for all text lines, and the local domain (line .. spacing), these inputs apply respectively for the selected line only. All settings are deleted and set to the initial position. Confirmation: The settings are adopted and the label generated according to the settings. Abort: The input is aborted. Inputs in the global domain. Select a character set for the single label. The font and the parameters of the text lines can be adjusted later using edit line. Desired number of text lines. Portion of the available engraving field which is overlayed with text. With 100% the label would be produced without intermediate spaces, i.e. the complete graphic area would be engraved without line spacing. Orientation: Alignment of the lines. Input L (left), C (centred = Standard) and R (right). Inputs in the local area. Influencing of the text capital letter height in the ratio to the other lines. A factor >1 increases this line. (line height): Adjustment of the text line height in mm. Separation (line spacing): Adjustment of the text line spacing (gap) in mm. Input columns with selection unlock / lock. Columns with header and footer. Graphic with text for columns. Columns with 4 text columns, coverage 50% and header. Columns with 4 text columns, coverage 70% and reduced spacing. Columns (label with several columns). Input of a single label with several columns (text columns). A label with columns can contain a header and a footer over the complete width. The input divides into the global domain (font .. footer height, these inputs are employed for all text lines and the local domain (column .. orientation), these inputs apply respectively for the selected column (text column) only. Input in the global domain. Font: Selection of a character set for the single label. The font and the parameters of the text lines can be adjusted later using edit line. Number of the columns (text columns) to be generated. Lines per column: Number of text lines per column. Line height [mm]: Text line height (capital letter height) of the text lines in the column. Portion of the engraving field available, which is overlayed with text. With 100% the text lines would be produced without gaps. Input of a header (heading, top) and its separation from the columns. 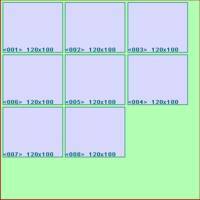 With header height = 0 no header is generated. 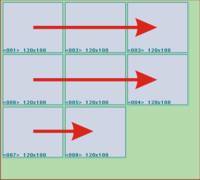 Footer spacing, Footer height: Input of a header (footnote, bottom) and its separation from the columns. With footer height = 0 no footer is generated. Inputs in the local domain. Input for the column width in mm. With lock (!, click using the cursor on ~) the set height can be locked, i.e. with input of other values this setting is no longer modified. The widths marked using unlock (~) can be modified by the calculations. Input for the column spacing in mm. With lock (!, click using the cursor on ~) the set spacing can be locked, i.e. with input of other values this setting is no longer modified. The widths marked using unlock (~) can be modified by the calculations. Orientation: Orientation of text (L = left, C = centred, R = right) in the column lines. Graphic of the label matrix during the input. Label matrix with text. label matrix. Generation of a matrix from several single labels or several columns. A single label or a column must be input before the input of a matrix . Source: Setting for generation of a matrix out of Single labelor Column. 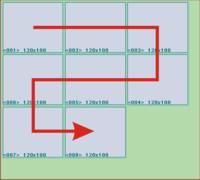 Material width/height: Setting of the material width and height for the arrangement of several labels. The material width and height in all cases must be greater than the label dimensions input under Label limits. The material dimensions should be sufficiently dimensioned for the generation of the desired number of labels. Mat. border left, bottom, right, top: Input of the separation from the material edge. The labels follow at least the specified edge of the material limit. Label esp. X, Y: Separation of labels from one another. 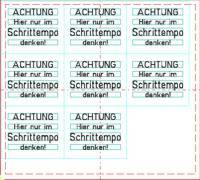 Label border: Setting of an optional label border to be milled (marking). These milling movements are saved in an own layer (‘Border layer’). 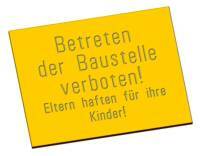 No border: No label borders are generated for the matrix. Frame: For the labels, rectangular frames are generated around the complete label. Corners: Corner marking s are created for the labels. Corner points: For the label, points are created as marking for corners. 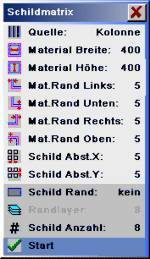 Lines: For the labels, continuous horizontal and vertical lines are generated. 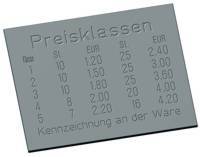 Border layer: Selection of a layer, in which the milling data for the borders are saved. 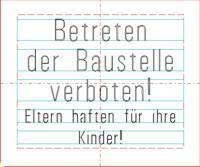 The border layer should be selected dissimilar to the ActLayer (layer in which the text lines are saved). Number of labels: Input of the desired labels. The actual creatable labels can be taken from the graphic. If the desired number of labels is greater than the number of labels achievable with the material, then a message is displayed. Text editor with line numbers. Edit Line. Input using the line text input (comp. edit line menu). Here all parameters of the text lines can be edited. 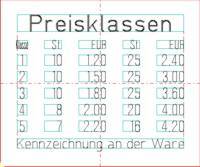 The layout for a Single label,Column or a Matrix must have been created before the input using Edit line. To edit an individual line click on the text line using the cursor and modify the parameters right in the menu. If settings for several lines are to be applied at the same time, the functions in the sub-menu operative line are better suited. Here you can select several lines using the marking tool and apply the functions. After modifying the text line parameters the label, the column or the matrix can no longer be generated because, with this, the parameters would be recalculated anew! Text input or text import in the text editor. The editor can be activated with and without line numbers (comp. Parameters). 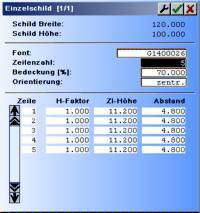 The layout for a Single label, a Column or Matrix must have been created before input into the text editor. In the editor, the text for individual or for all lines of a single label or a column can be imported or input from a file. The layout for a Single label or a Column must have been created before an import. input RdWr label layout. Import matrix lines. In the text editor, the text for individual or all lines of a matrix can be imported or input from a file . The layout for a matrix must have been created before an import. Save or load a layout for a Single line, column or matrix. YES: Line numbers are generated for the editor. NO: Editor without line numbers. Auto distortion mode: If the text width of the specified text line length is exceeded, using this setting it can be determined how the text width is to be dealt with. individual: Each text line is compressed if the max. width is exceeded. All lines: If a text line exceeds the max. line width all text lines are compressed equally. Same height: If a text line of the same capital letter height exceeds the max. line width, all text lines are compressed to the same height. Auto distortion single label/ matrix: The set auto-separation mode is applied respectively to the Single label or to the complete matrix together. Matrix Alignment: Sequence of the label alignment for a matrix (order of working off). Meander: Working off alternating from left to right and in the next line right to left etc. Horizontal: The working off takes place in horizontal lines from left to right. Vertical: The working off takes place in vertical lines from top to bottom.